On my second or third morning I realized that this was a great song to wake up to. Not only encouraged this song me to be grateful right from the start of the day, but this song also stayed with me throughout the day during the last few weeks. I’ve noticed how different I go through the day when I think about the things I’m thankful for. I concentrate more on the positive in my life & my circumstances, more on what I have, what I can do. I also noticed something else: thankfulness is contagious. It spreads to my family members and other people I come in contact with. 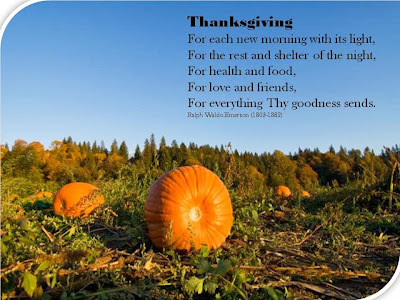 A Happy & Blessed Thanksgiving! Here are the lyrics of the song. Thanks be to our God. Thanks be to our God!